To say that the life of a restaurant owner is busy is a pretty big understatement. Okay, it’s a massive understatement. If you’re looking to alleviate some of your bulky workload, investing in a quality POS restaurant software is a good place to start. Due to the hectic nature of the restaurant and retail industry, POS systems, also known as point-of-sale software, can be incredibly useful tools for business owners by saving them time and streamlining bookkeeping duties. This can equate to less time spent crunching numbers and more time working on creating a smashing environment for your customers. As your first and final point across the chain of service, a POS system can be critical to keeping your business operations running smoothly. These systems offer an abundance of key features that can take your restaurant to the next level. Aside from tracking all of your sales, POS systems allow for detailed cash flow reports, effective inventory management and transactional trend analysis. Basically, it helps house all of your sales information in one central location. With the high volume of cash and credit cards that flow through a restaurant each day, having a singular hub for sales can be enormously beneficial. 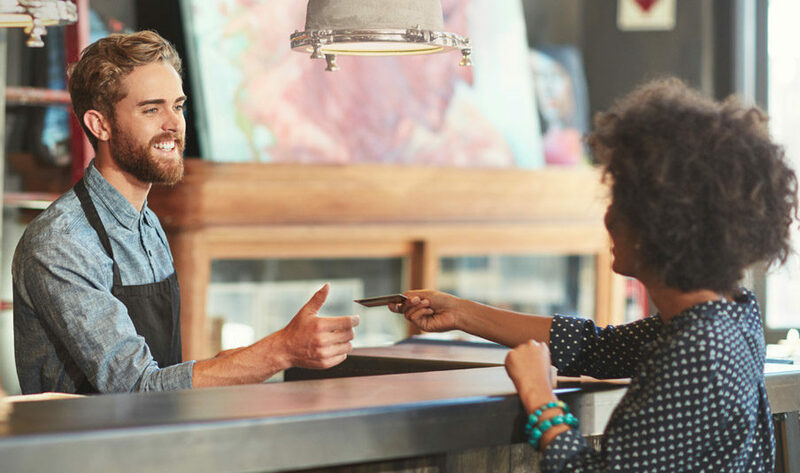 Aligning with the “customer is king” philosophy, having a solid POS system can help ensure that your customers have a positive experience when visiting your establishment. Due to the fast-paced nature of our society, people place an emphasis on efficiency. While customers might not notice if paying their bill is easy, they will definitely notice if their restaurant experience suffers due to a cumbersome, delayed transaction. Having a POS system that allows for faster, high-quality service will keep your customers happy (and hopefully coming back!). In the same vein as the experience of your customers, keeping your employees satisfied and working hard is of the utmost importance. A quality POS system can assist in this endeavour by simplifying communications between all members of a restaurant’s staff. Orders are digitally delivered to the kitchen the moment they are entered, saving time for all parties and reducing the chance of human error. Also, POS systems allow you to track the availability of ingredients and popular food items––this keeps your employees confidently well informed, leading to less miscommunication with customers. By properly utilizing a POS system to enhance customer experience and employee communication, the hope is that it translates to long-lasting relationships with your patrons and staff. Once this aspect is covered (which isn’t easy), POS system data can give you a unique insight into your customer base. Viewing back-end analytics and reports can help create targeted marketing offers to entice a new customer base and keep the regulars coming back for more. A quality POS system can be immensely beneficial for restaurant owners, regardless of size and inventory. In addition to the points above, POS systems offer security features, assistance in payroll preparation and organizational tools that produce profit and loss statements. In the bustling restaurant industry, a POS system can cut down on stress and lead to long-lasting benefits. Popular overall restaurant management software include tools such as HotSchedules, TouchBistro and Toast. Check out all restaurant tools on G2 Crowd.